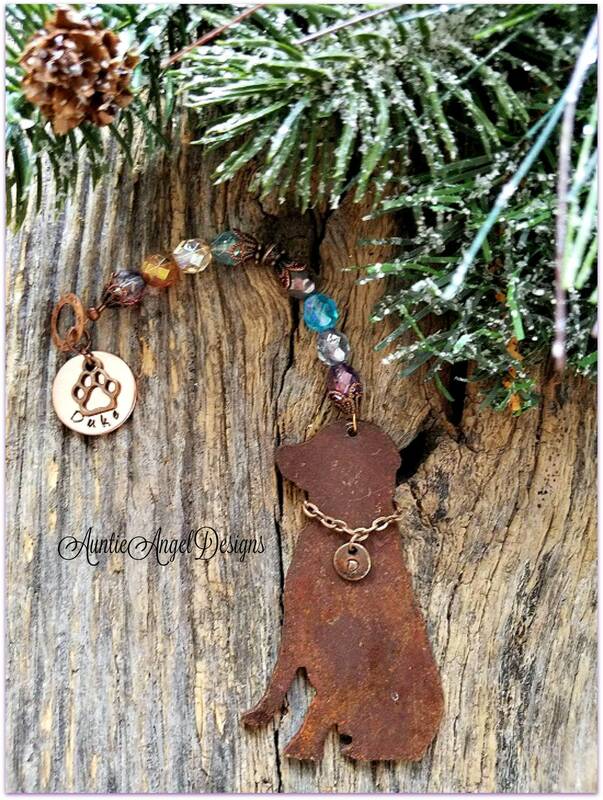 The "Rainbow Bridge Lab Ornament" is a unique and exclusive beaded piece by Auntie Angel Designs for a great year-round pet sympathy gift. 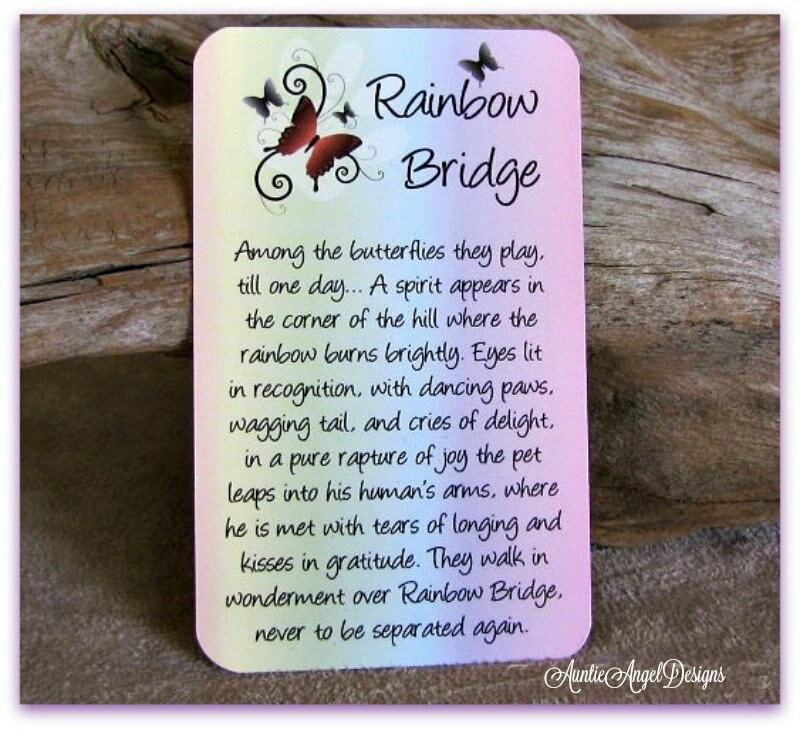 This gorgeous, yet simple Rainbow Bridge-inspired piece is meant to remind you always of your precious labbie at the Rainbow Bridge, knowing one day you will be reunited. 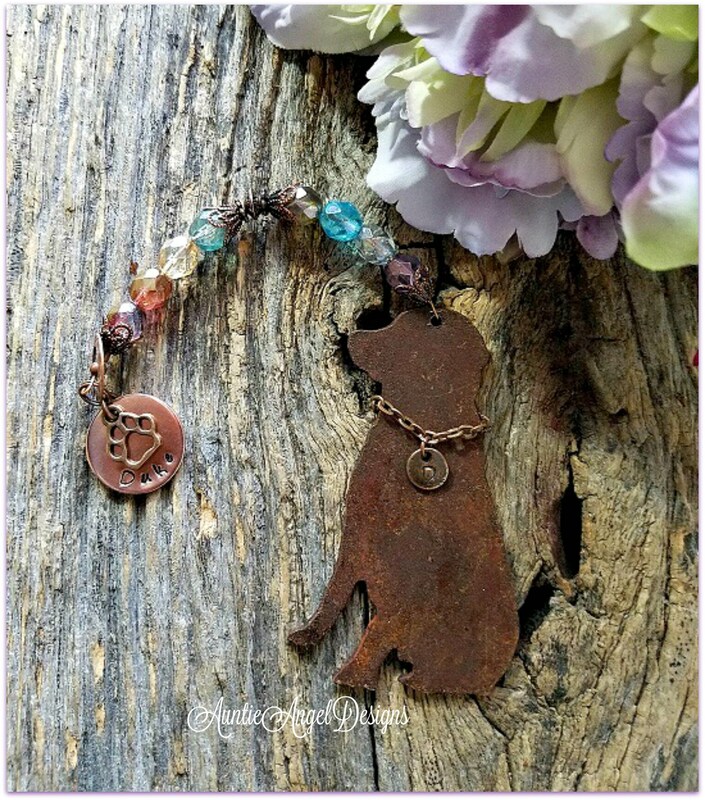 The darling rustic metal labrador cutout dangles from a strand of muted melon beads in colors of the rainbow. The beads are in an old-world finish and are quite beautiful. 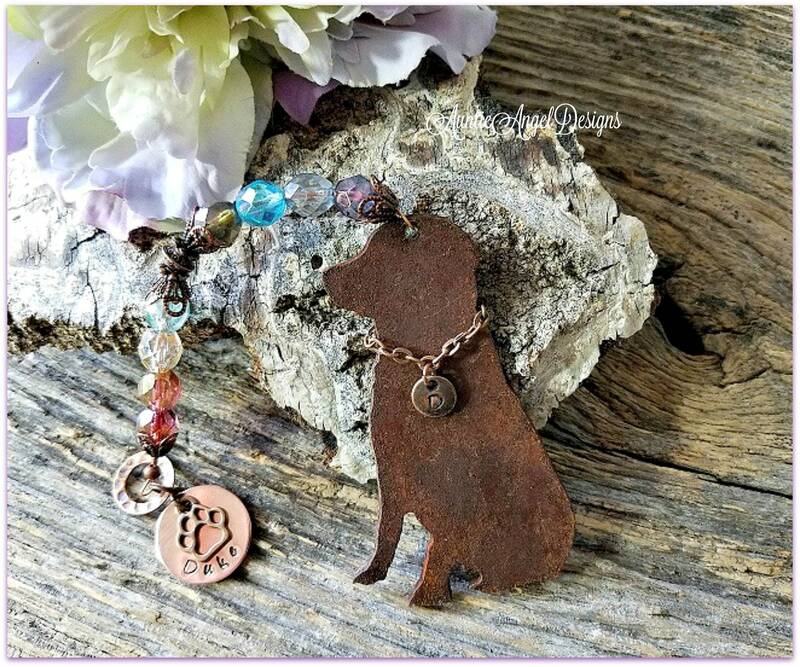 Each piece is strung on flexible wire and finished with fine filigree antiqued copper bead caps. This ornament's total length is 7" long. Each metal cutout has been triple-coated with a matte polyurethane to preserve the richness of the rust coloring, which varies from ornament to ornament. Some ornaments ARE more rusted than others. Please allow for slight variations in the hand-cut metal and note that there is a somewhat rough edge on the back. 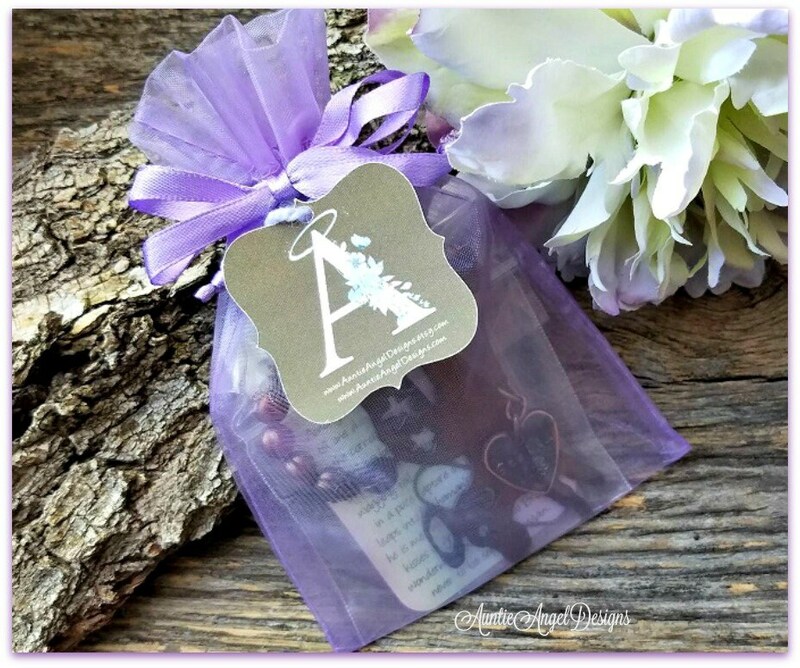 Visit our Etsy shop of www.inlovingmemoryofyou.etsy.com for more pet sympathy gifts. Item was just as pictured! Thank you so much! Great customer service and beautiful product. Thank you so much!